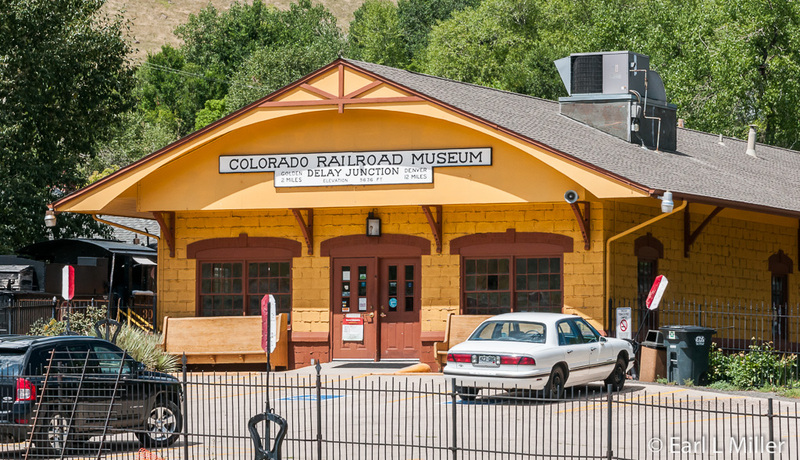 While Coors Brewery has become synonymous with Golden, the town’s Colorado Railroad Museum and its National Renewable Energy Laboratory (NREL) have also received recognition. For lunch, Woody’s Wood-Fired Pizza has been a popular hangout for years. Located on a 327-acre campus near Golden, NREL is the principal research laboratory for the U.S. Department of Energy's (DOE) Office of Energy Efficiency and Renewable Energy (HERE). It’s concerned with everything from energy analysis to validating new products for the commercial market. Its purpose is to transform how the world uses energy. President Carter started NREL, originally called the Solar Energy Research Institute (SERI) in 1977, as a response to national concerns during the 1973 oil embargo. Its name was changed in 1990 by President George H. W. Bush, who elevated it to a national laboratory. SERI’s roots were dedicated to harnessing power from the sun while NREL is concerned with all types of renewable energy and energy efficiency. In 2012, I visited NREL’s visitor center for the first time and was impressed with the variety of displays inside and outside the visitor center. They filled the auditorium with many exhibits being interactive. My visit this year was disappointing as exhibits lined only the room’s walls, and the exterior displays had vanished. They did have more films about the functioning of NREL, their projects, and scientists. Unfortunately, some of the staff played these videos at such low volume they were hard to hear. I had expected more and found a lot less. The eight small exhibits in the auditorium cover everything from a geothermal plant model to solar cell and hydrogen basics. You see types of power strips and can watch a solar-powered ski lift demonstration. You can read about biomass - the organic matter of plants such as corn, Poplar trees, and sugar cane used to produce electricity, transportation fuels, or chemicals. I found the most extensive and interesting display was “On the Road” tracing the history of the increased use of automobiles and their fuel sources. The display featured such facts as the first electric car, which had a limited battery, dates back to 1903. The 1906 Stanley Steamer was the most advanced car but had complexity drawbacks. In 1942, factories didn’t produce cars due to the war. In 1979 the federal government passed the excise tax exemption for ethanol. During 1999, hybrid vehicles made their debut. The Visitor Center is open from 9 a.m. to 5 p.m. Monday through Friday. It’s located at 15013 Denver West Parkway and the phone number is (303) 384-6565. 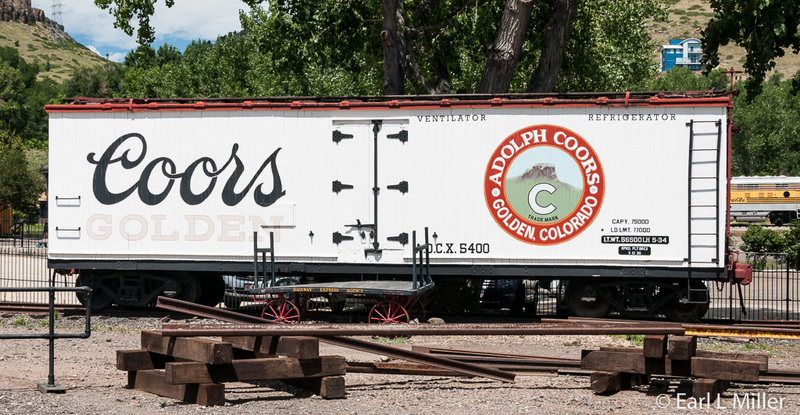 In the late 1940's, Robert W. Richardson started collecting rolling stock in an attempt to preserve Colorado railroad history. His collection quickly outgrew his space in Alamosa, Colorado. With the assistance of his friend, Cornelius W. Hauck, they moved the museum to Golden in 1959. Over the years, it has dramatically grown and now includes more than 100 pieces of narrow and standard gauge rolling stock. This includes steam and diesel locomotives, cabooses, freight cars, snow plows, and passenger cars. Adjacent to the parking lot, in this 15-acre rail yard, you’ll find a replica of a 1880's railroad depot dressed in the yellow and brown Denver & Rio Grande Railroad paint colors. This is the main building housing admissions, the gift shop, and many railroad artifacts. Start by watching a 10-minute film about the museum’s history on the second floor. It houses temporary exhibits as does the basement. The basement is also home to the Denver HO Model Railroad Club’s model layout of Colorado mountain railroading in HO and HOn3. For 25 cents, you can watch it run for two minutes. I was disappointed that such a large display only had two trains running. I preferred the G-scale exhibit, a quality layout with landscaping, found in the rear of the main building. 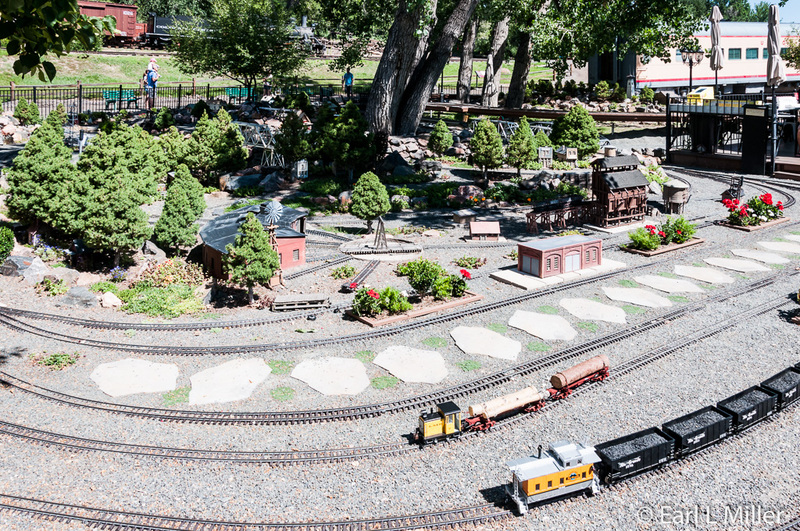 It is presented by the Denver Garden Railway Society. It operates most Saturday mornings from 9:00 a.m. to noon, weather permitting. The day I was there, it had four trains running: one passenger and three freights. We spent two hours at the museum, but you can easily spend a minimum of three to four hours observing the displays and the rolling stock. Take time to read the numerous signboards explaining in detail what you are viewing. They cover such topics as locomotives, Amtrak, tank cars, freight cars, and narrow gauge. You’ll also learn about refrigeration cars, livestock transportation, cabooses, dining cars, and the maintenance of railroads. Among the museum’s most unique cars are the museum’s three Galloping Goose. These trains, powered by gasoline auto engines, carried small amounts of passengers and freight. They conducted mail runs in the Colorado mountains. 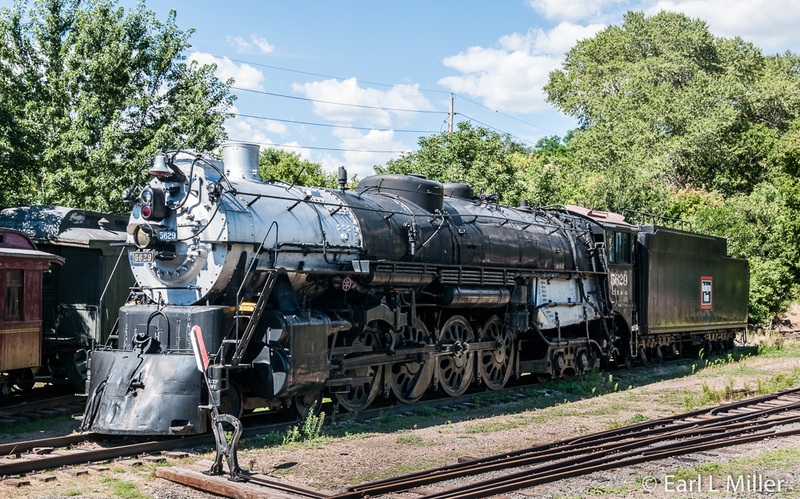 Built between 1931 and 1936, six of seven survived to the end of their use by the Rio Grande Southern Railroad in 1952 with the museum owning three of them, Numbers 2, 6, and 7. Two are now in Southwest Colorado and one is in California. The first Goose could handle five passengers. Subsequent ones carried 10-12 passengers and still more freight after World War II. From 1936-1938, the Geese had their Buick or Pierce-Arrow bodies replaced with ones from small school buses except for Goose #7. Different variations exist on how they got their name. Some say it’s because their horns made a honking sound. Others state it was their swaying motion of the car body and freight compartment on the winding track. The largest locomotive is the Chicago Burlington & Quincy No. 5629. It was built in 1940 by the Burlington Route Railroad and was used for heavy freight and passenger service. It remained in service until the early 1960s. It’s only one of four Burlington locomotives of its type still in existence. You can enter four cars. 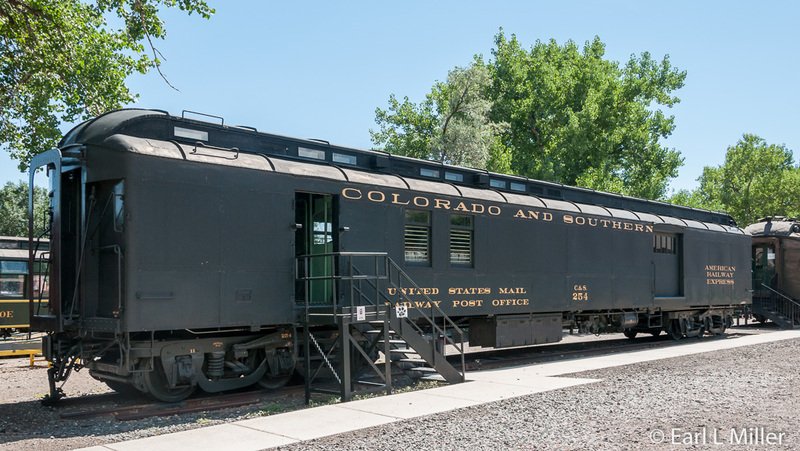 One is the Colorado & Southern - Railway Express, U.S. Post Office car. It was a post office and Railway Express shipping car providing service all over the country. At station stops, they dropped off the mail to the local paymaster. When the train didn’t stop, it just slowed down and a large hook swung from the car to catch the mail hung on the station’s “Mail Crane.” At the same time, the train’s clerk would literally kick off a bag of mail. 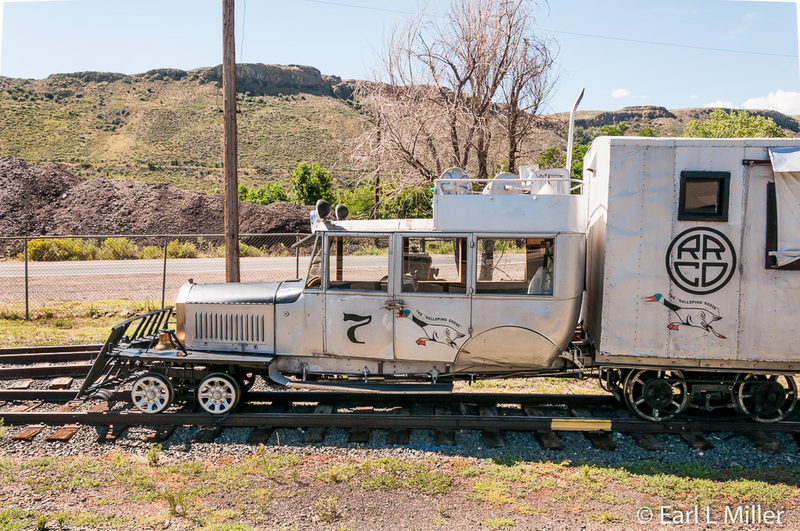 This car was built in 1922 with this particular car running from Denver to Billings, Montana. You can also go inside locomotive #30, next to the museum, which the city of Boulder owns. Children enjoy going up and ringing the bell. 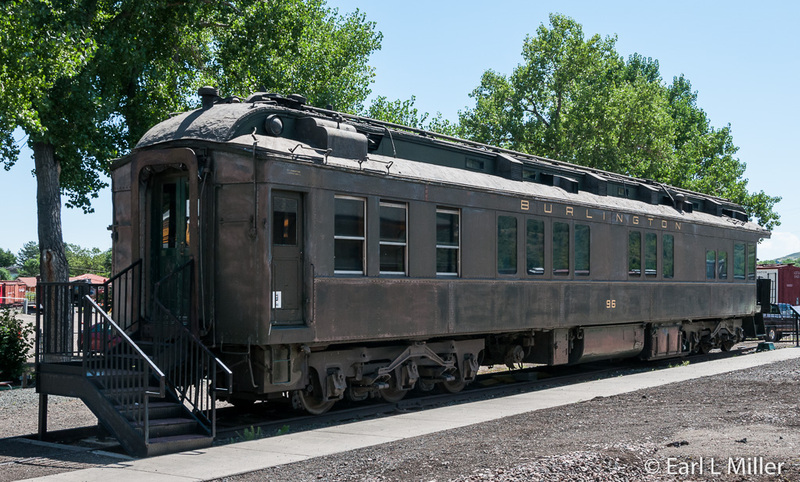 Another one to explore is the Denver and Rio Grande Western Railroad kitchen car where they prepared food. It has the original cabinetry. Finally, enter the bunkhouse car. 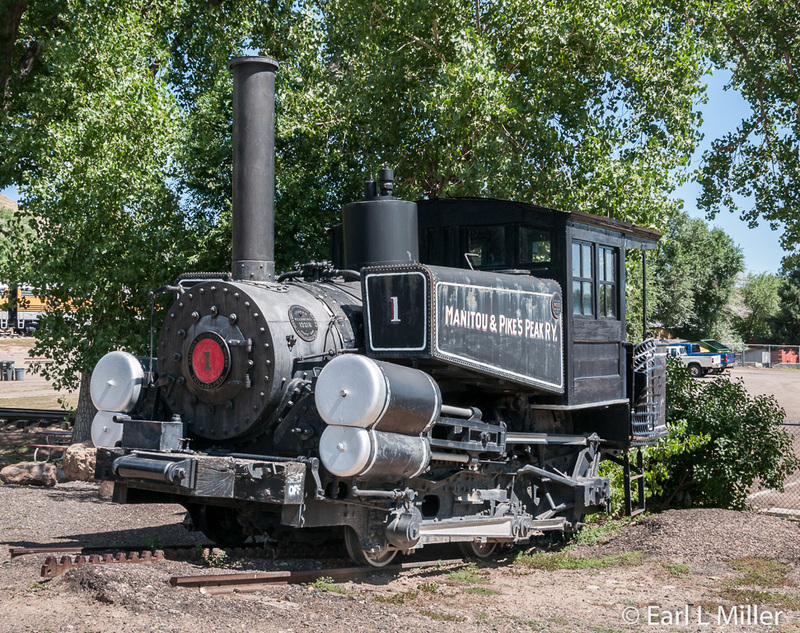 It’s the oldest piece of rolling stock left in the state of Colorado. 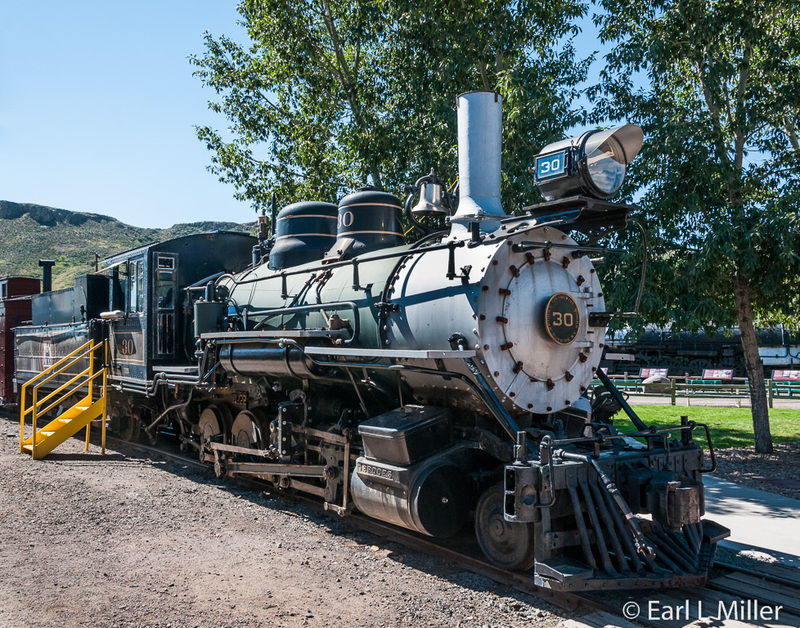 It was owned by the Rio Grande Southern and ran from Ridgeway to Durango via Telluride. The Denver Leadville & Gunnison No. 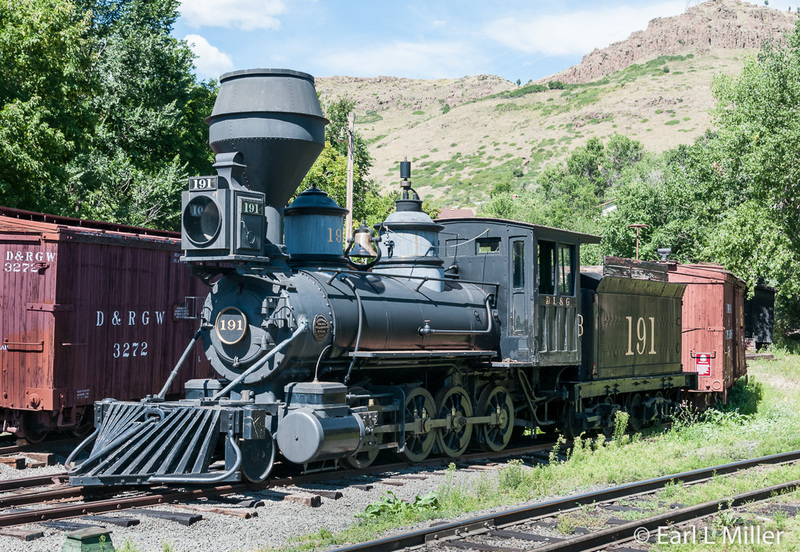 191 is the oldest steam locomotive in Colorado. In 1880, it was built by Baldwin Locomotive Works of Philadelphia. It moved gold and silver ore, coal, and timber between Denver and Central and Southwestern Colorado’s mountain communities. Manitou & Pikes Peak No. 1 (S) is a locomotive designed to climb steep grades up to 25 percent. The underside has a toothed cog wheel. As the wheel turns, it connects to a stationary rack rail in the track. This helps to pull the train up the mountain or brake on the way down. The Chicago Burlington & Quincy Business Car No. 96 was the business car for the railroad’s president, Charles E. Perkins. It had sleeping quarters for eight and a kitchen. Its dining facilities doubled as a meeting room. Union Pacific Switch Engine #4455 is a standard gauge steam locomotive built in 1920. It was used in Denver switchyards until the 1940's. The Denver & Rio Grande Western No. 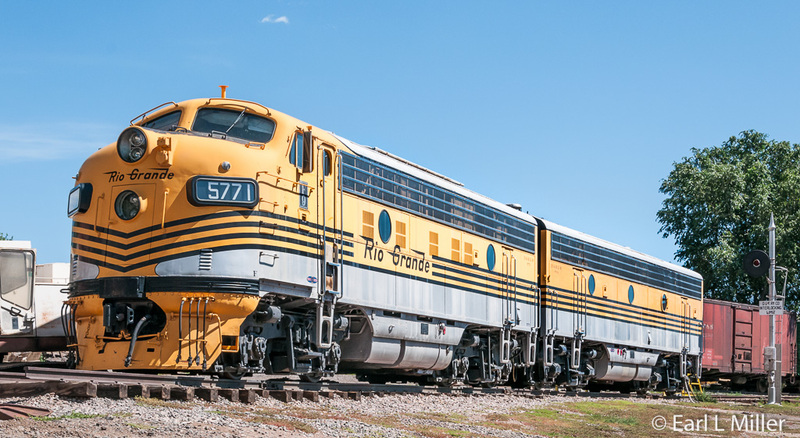 5771 powered the Rio Grande Zephyr, the last non-Amtrak intercity passenger train in the United States. In 1984, it powered the Ski Train from Denver to and from Winter Park each weekend before retiring. The Colorado & South Snow Plow No. 99201 operated over several mountain lines from 1899 until 1965, clearing the way for trains. A steam engine located in the plow generated power to spin its large, front rotary blades. Locomotives had to push the plow since it cannot move by itself. In the front of the parking lot, observe the Coor’s refrigeration car complete with billboard. Coors leased 30 of these cars to ship beer from their brewery. In 1937, the government banned painting billboards on the side of boxcars. 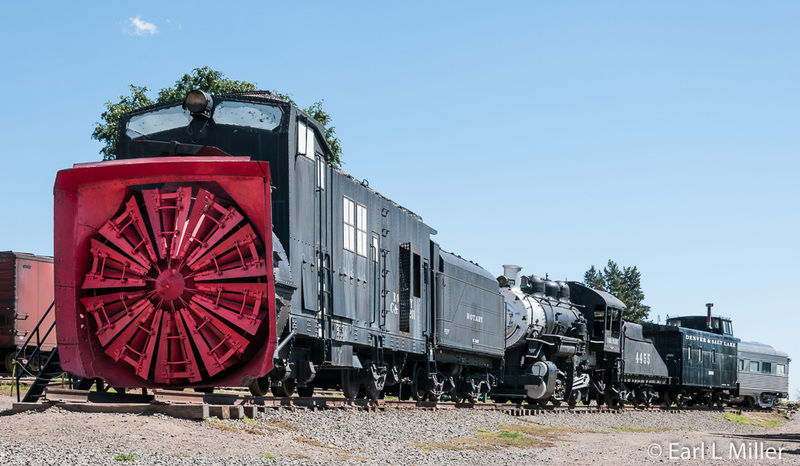 You can visit the Cornelius W. Hauck Roundhouse with working turntable. It’s quite a distance from the main building so we didn’t hike over. But I learned that it has five stalls and houses tools and equipment needed to restore and repair rolling stock. It was constructed in 2000. The turntable came from the end of a Chicago, Burlington & Quincy Railroad branch line at St. Francis, Kansas. It is 74 feet long and was built in 1909 by the American Bridge Company of Chicago. At the museum’s water tank, staff fills operating steam engines. On Saturdays from 10 a.m. to 4 p.m., the museum often runs train rides around the track surrounding the property. They use steam or diesel locomotives and former Colorado railroad passenger cars from different eras. Sometimes rides are offered on the Colorado Galloping Goose. Ride tickets are $4 for adults and $2 for children ages two to 15. For those seeking more information on railroads, a stop is in order at the museum’s Robert W. Richardson Railroad Library. It’s touted as one of the most comprehensive railroad reference libraries in the United States with information on railroads from around the world. The museum is open daily from 9 a.m. to 5 p.m. Admission is $10 for adults, $8 for seniors (ages 60+), and $5 for children. It’s located at 17155 W. 44th Avenue in Golden. The phone number is (303) 279-4591. Opened in 1993, we learned that pizza lovers flock to Woody’s Wood-Fired Pizza for three reasons: good food, great service, and reasonable prices. In fact, it’s been voted the best pizza in Jefferson County. We were so delighted with this family-owned restaurant that we ate there three or the four times for lunch. Our first time we ordered the endless salad/soup bar and pizza bar for which they charge $11.38 per person. They also sell slices for $2.25. Woody’s offers six to eight different pizzas at their bar and it isn’t just pepperoni or sausage since they make gourmet pizzas as well. Besides their bar, you can order individual or large cheese pizzas with a wide choice of toppings. Burger lovers will enjoy their basic burger where you can design your own from a variety of cheeses, veggies, homemade sauces, and more meat. If salad is your thing, Woody’s offers large salads as well. Other choices include chicken tenders, macaroni and cheese, calzones, and fish and chips. Woody’s has a full-service bar featuring 14 Colorado draughts and as well as premium liquors. To keep their patrons entertained, the restaurant features biweekly trivia and seasonal events. Sixteen high-definition televisions display sporting events. With parking very tight in downtown Golden, we found another benefit at this restaurant. If you arrive early, you’ll find a parking space in their lot next to their restaurant.